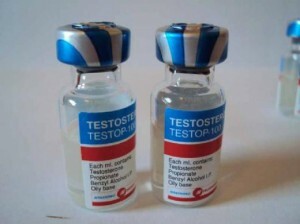 These little 2ml vials of Testosterone Propionate made by Hubei Huangshi in China were very popular a couple of years ago. Now this prop is avialable on the market again. Each vial contians 100mg of prop in 2ml of oil. This prop was quite popular as feedback from users was very positive leaving many users wondering if they weren’t overdosed. The new Testop we’ve seen recently is identical to the ones were saw in the past with the same lot number so we expect feedback to be similar this time around.